Manufactured in Australia this self sufficiency apron has been created to give your child the ability to experience a small step in independence without requiring the assistance of an adult. 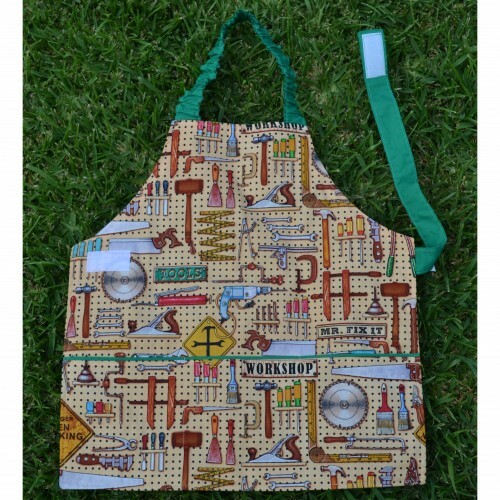 I am sure that any boy would love this apron which depicts "woodwork tools". 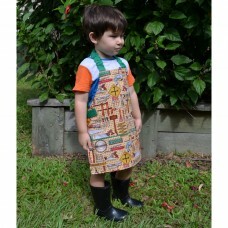 Many uses for this apron from helping dad in the shed, to cooking on the BBQ or just pretend playing. Elastic neck strap pulls over the head. Single waist strap pulled behind them and closes with hook and loop. Large pocket broken into 3 sections. 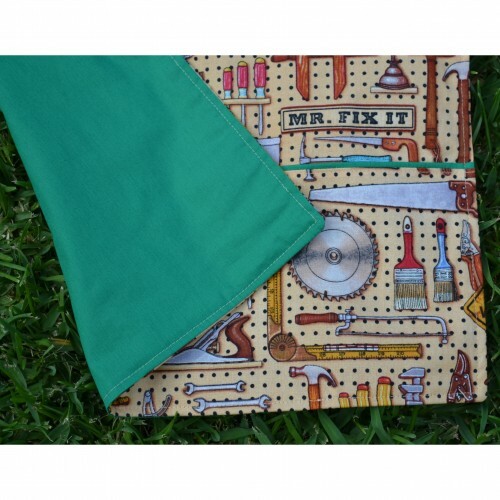 Apron and pockets fully lined with coordinating fabric. 42cm wide and 44cm from top of bib to hem (does not include neck strap). Strap is approximately 34cm long. Designed to fit 3 to 5 years of age.